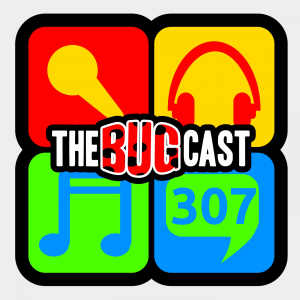 This week on The Bugcast: We discuss some sad stuff and some crazy stuff, and we play 8 cracking tracks of Creative Commons music from The TenGooz, John Option, Anne Davis, Carly James, Robert Avellanet, The Smoothies, The Way I Am, and North Unity Sound. This week on The Bugcast: Virgin broadband, Virgin TiVo, Virgin OD, and 8 cracking tracks of independent and Creative Commons music from Boxing Fox, Carrington MacDuffie, Thoola, Anne Davis, Illusion of Art, Backnbloom, The Green Tea Monkeys and Sueño de Dahlia. the bugcast 308 – What did the Fox pay? This week on The Bugcast: Learning online, employment offline, and 8 awesome tracks of Creative Commons and independent music from Real Illusion, In Isolation, Anne Davis, Soma, Deer Ear, Fresh Body Shop, The Black Atlantic and Amy Lynn and the Gunshow.